event for me and many of the other writers who blog at Super Authors since we get to visit with each other, meet readers and chat with the incredibly talented people who work in our publishing house. This week is a reward of sorts for all of us. Writing—while fun!—is an isolating sort of business. To be successful at it, a writer has to spend long hours alone with the computer, thinking and creating. Some days it’s fun and more days it’s incredibly difficult. Writing one book is a thrilling challenge. Making a career of this work means spending large chunks of time alone with no one to share the day to day challenges of storylines and characters that are unique to one writer’s brain. In other words, it’s tough to draw people into our strange little worlds! Readers won’t meet the characters we’re engaging with until long after we’re done with the hard work of penning their stories. That’s where the reward comes in. Our yearly writing conference gives us all the chance to socialize. We celebrate our success, quietly mourn our setbacks, and share all the craziness of an otherwise lonely job. And feel fortunate for the outlet. 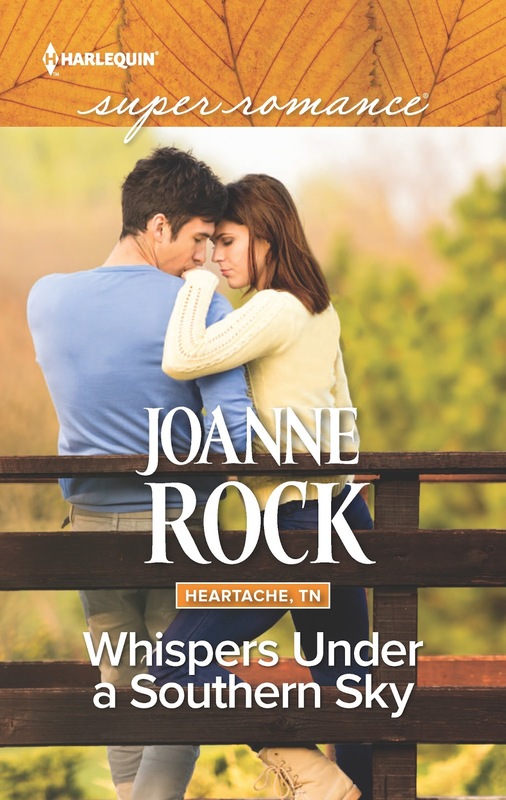 I feel bad for writers of other genres who don’t have the outreach that Romance Writers of America has—we have a big network of support in one another. The romance community is bonded not just by the choice of books we choose to read and write. It’s also bound by a positive outlook that pervades our stories and—we hope—our lives. You see, authors of romance differ in many ways. But we are the same in our need to fight for a happy ending. 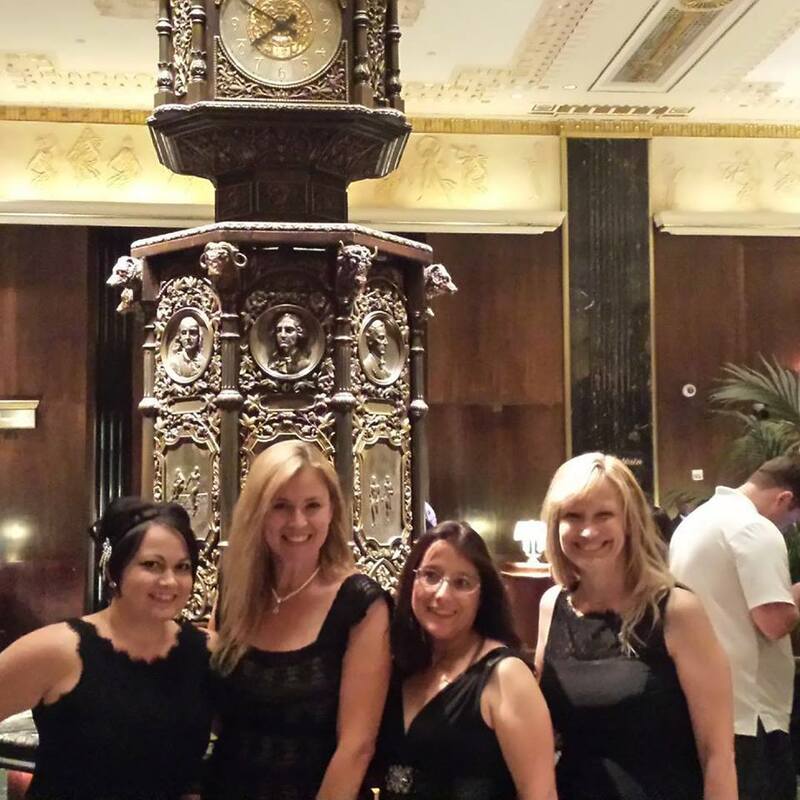 I’ve wondered in the past how I got so lucky to know such a positive, uplifting group in my romance friends. But it’s occurred to me there’s a reason we’re all drawn to romance in the first place. We are the kind of people who hope that obstacles can be overcome with hard work, that relationships can be healed with care and effort, and that love is a beautiful driving force in the world. Every year, I look forward to that kind of sisterhood—the embrace of a caring community that works to make the world a better place. And if that sounds like a romanticized view? It may just be. And that's precisely why I like it. **Share the romance sisterhood with me today! If you need someone to lift your spirits, who do you call? Or who might you visit? 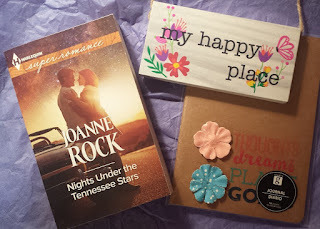 Share with me today on the blog and I'll give one random commenter the prize pack pictured -- a copy of book #2 in my Heartache, TN series, plus a cute journal and a sign to hang on your happy place! Winner announced Monday, July 18th when I get back home and can mail it out :-). I call my friend Rosemarie for a quick pick me up. She's a hoot & a half. Solid as a rock too. My mom, she is also my best friend & I can always count on her! I would call my daughter she's 21 and the best friend/daughter anyone could have. The members of my sisterhood include my mom and aunts, my female cousins, my nieces, and my three very dear best girlfriends. I am blessed to be surrounded by wonderful women! I would love to read this book as would my "sisters" as we are Tennessee girls! I have my sisters that mean the world to me! They're my all time pick me up! Love them to pieces! My best friend. She lives several states away now, but I know she'll always be there for me and cheer me up when I'm down! If I need someone to lift my spirits, I call my daughter or sisters or my friends.Thank you for the opportunity to win. I enjoy reading your books. I call a girlfriend. We have been friends since high school. I am always afraid I am going to bother someone when they are busy. So, I usually send an email or Facebook message with someone. That way they can reply on their own terms. But my go to friend when I need a lift is one of my cats. She is always there for me. And lets be honest, sometimes telling your problems to someone you know won't repeat them or judge you is often the best of all. Plus a cuddle doesn't hurt either. I will usually text one of my close friends or talk to my husband. My mom and my best friend are gone now. Thank God for my husband and daughter. I call my friend Marsha. I will go to my mother. She is my rock. But most of the time, I don't really like to show my emotion and talk about it. I used to talk with my best friend Teresa until God took her to a better place to relieve her pain. Now, I write it in a journal. It's not the same though. My best friend, she's only a phonecall away. I can talk to her about anything, she never judges me & knows just what I need to hear. Depends on the time of day, day of the week, my mood, and what is depressing me. Could be my sister 2000+ miles away ... or girlfriends 1, 2 or 4 hours away ... a neighbour ... or even my daughter. If it is something I can share with a male, I would share with my friends at badminton, as I see them several nights a week (plus weekend tournaments), but usually I share with females. Girlfriends Rock (pun intended)! Linda May, hugs on the hard road with your husband. I'm so glad to know that romance and books are a good outlet for you... and Ann too! Where would we be without the friends to bolster us when we need it? Sonya-- how fortunate you are!! So glad you have that kind of network around you to lift you up. I just got back from my biggest dose of friend time at that RWA conference and it was so wonderful to be surrounded by a wealth of positive, uplifting women. Thank you all so much for sharing in the sisterhood this week! !